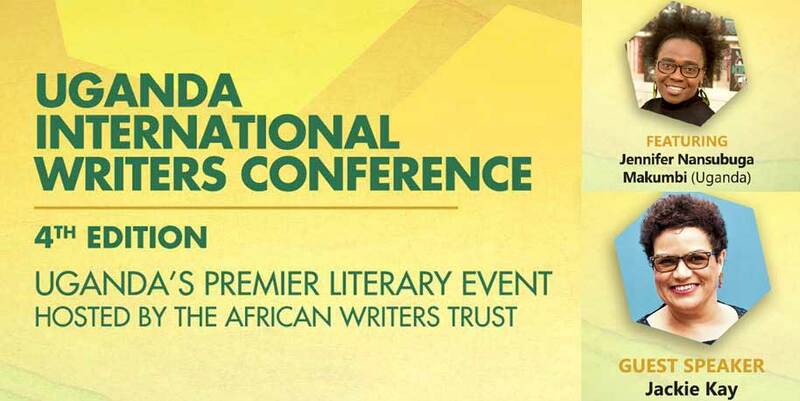 The Uganda International Writers Conference 2019 is set to happen in Kampala, Uganda from May 15-17, 2019. The conference is organised by the African Writers Trust. The Uganda International Writers Conference was started in 2013 as a biennial international platform for writers and publishing professionals to converge for a week’s debate of intellectual stimulation and thought-provoking discussions. Since then it has hosted such literary luminaries as Bibi Bakare-Yusuf and Lemn Sissay in 2017 as well as Noo Saro-Wiwa, Chinelo Okparanta, Julianne Okot Bitek and a host of others in 2015. The fourth edition of the conference is set to be held in May 2019, with a particular focus on the theme: “The Right to Write in a Global Context.” Like in previous years, you can expect participation from writers, poets, bloggers, playwrights, publishing professionals, critics, academics, journalists and book enthusiasts from Africa and its Diaspora. These will be involved in panel discussions, book chats and a host of other literary activities. The highlights, for now, include ‘In Conversation With’ session with Jackie Kay who many African commentators remember as being the chief judge at for the Caine Prize that gave us Okwiri Oduor as the best short story writer for 2014. The rest of the world knows her as one of the best poets and novelists to come out of Scotland. Also featured at the conference will be Jennifer Nansubuga Makumbi who will be launching her new book Manchester Happened set to be published in May 2019. Previous Previous post: Akwaeke Emezi, Ahmed Bouanani are PEN America 2019 Finalists.